Flooring is one of the biggest decisions a homeowner makes. Hardwood floors are longer-lasting and can be refinished many times to freshen the look. Some people champion hardwood’s natural beauty. It’s easy to clean and can look new for decades if cared for properly. Wood it is seen as being “high end” and “luxurious”, because it is a natural material, and its surface is unique to that particular installation. 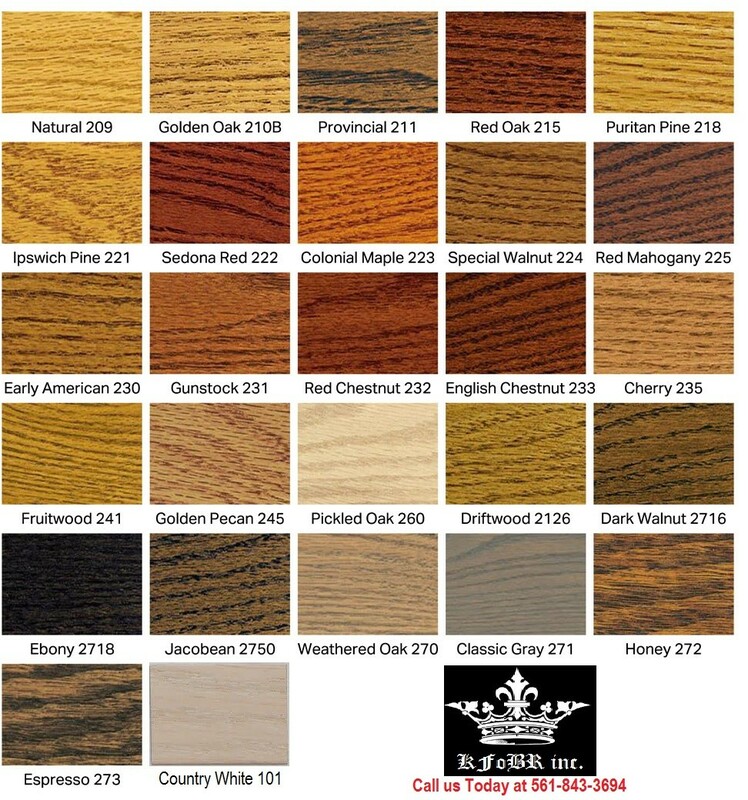 Depending on the type of wood chosen, and how it is finished, hardwood can command a sense of great power, and even prestige, when used in certain locations. 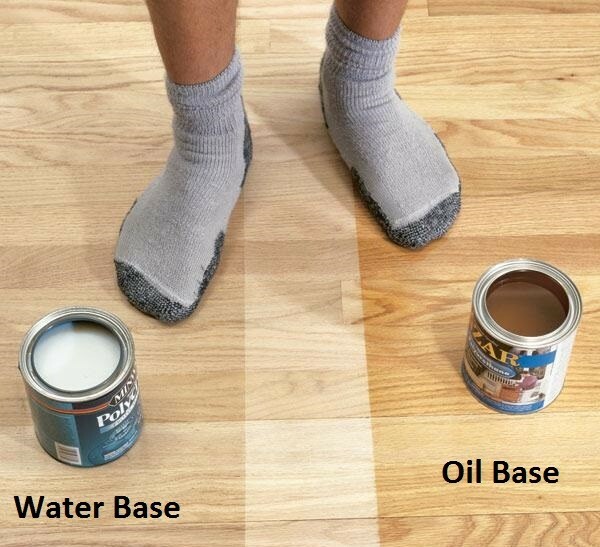 What is the first thing your toes touch in the morning, hardwood or carpet? Cleanliness: Many people feel that it is impossible to really clean carpet. Stains soak in and settle permanently, and dust and micro bacteria tend to get attracted to, and caught in the fibers of the floor. Hardwood, by contrast, has a smooth, solid surface that can be easily wiped clean. There is no where for dust or dirt to hide making it much easier to maintain than carpet. Hardwood Flooring: It’s What Buyers WantAccording to HGTV, the top request of home buyers and renters when looking for a home is hardwood flooring. In fact, a study of home buyer preferences by USA Today using data from the National Association of REALTORS® found that 54% of home buyers were willing to pay more for a home with hardwood flooring. Easy to Maintain is a little more than simple sweeping and vacuuming, always making sure your hardwood floors are protected from moisture and heavy wear which creates scratches. Preventive maintenance like area rugs, floor protectors (on ALL furniture on your hardwood floors), and routine maintenance with proper hardwood floor cleaner should always be exercised (improper products can contribute to additional wear, may VOID your warranty, and cause failure when recoating. Refinished: When a hardwood floor is damaged, either by a stain, or through some sort of physical trauma, it can be refinished to look like new. This involves sanding down the surface past any defects, and then re-applying the stain and or finish products to make the floor look completely revitalized. Depending on the thickness of the material this is something that can be done several times over the life of the floor. Timeless: Hardwood flooring has been used in homes for hundreds of years, and despite constant shifts in style and trend, it has never stopped being popular. It always matches whatever colors and accessories happen to be in vogue, and can easily handle numerous different decorative choices. BEFORE you even think of shopping for a floor. Answering these will help determine appropriate choices. Is the subfloor level or not? (subfloor: the surface underneath your new floor.) It’s usually either made of concrete or plywood, or in some cases wooden planks. It may be covered by vinyl, tile or solid wood. In most older homes subfloors are rarely level. If not level, how much work needs to be done? Nail down and glue down floors require almost perfect subfloors, while floating floors require less perfection. TIP: Put a long straight piece of metal or wood on the floor and look to see how much of a gap appears underneath it. For floating floors, variations of up to 3/16 of an inch over an eight foot length are generally allowed. If more than that, you’ll have to fill the dips or sand the bumps; this can be a serious and expensive task and usually requires a professional. Always read the installation instructions provided by the manufacturer to determine the tolerances specific to your floor. What makes up the subfloor? 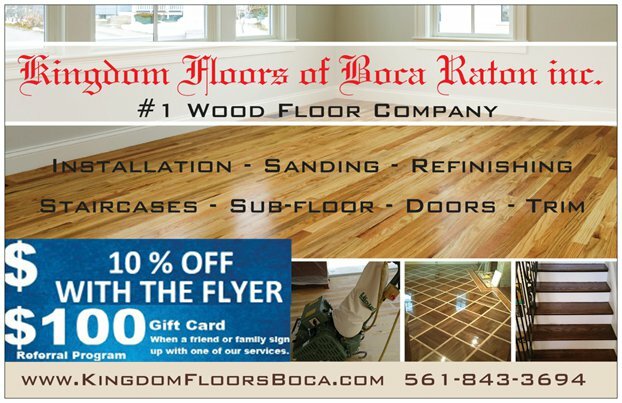 Flooring manufacturers may give you a choice for how to apply their flooring depending upon your subfloor. Once you remove your existing floor and get down to the subfloor you’ll find concrete, plywood, oriented strand board (OSB) or solid wood slats. If concrete, you can glue or float the floor over the top. (NOTE: this may not apply if the subfloor is lightweight concrete, sometimes referred to as gypcrete). If it’s a wood subfloor, you can glue, nail or float your floor over it. In some cases, you may not wish to remove your existing floor because it’s too difficult or expensive. In these cases you may wish to float a floor right over the old floor. TIP: Remember to consider the clearance under the doors—they may have to be cut down if the clearance is too low. If you have a layer of old hardwood, the greenest and least expensive decision may be to refinish it rather than replace it. Also, refer to Mistake #7 regarding adhesives. Is the subfloor dry or damp? If water is seeping in through cracks in your walls or floors you may need to excavate outside your home, divert the downspouts away from the home and/or apply a sealer to the wall or floor. Damp basements are typical in many parts of the US. Most manufacturers’ warranties prohibit solid wood floors below grade, while certain floating floors are sometimes acceptable. Moisture barriers are almost always required over concrete, usually in the form of 6 mm polyethylene plastic. Specialty sealers are also available but most require professional installation. TIP: Moisture meters or calcium chloride tests are very useful in determining moisture content. If your contractor does not have one, they’re available online or sometimes they can be rented. Do you have radiant heat? If so, you’ll need a special type of floating floor and underlayment. While there are some situations where you can use a solid wood floor, it usually requires a greater effort and expense. Always ask if the floor is warranted for radiant heat and make sure it says so in the warranty. Most are not, and those that are warranted may only allow hydronic heat tubes and not electric heat coils. TIP: Make sure the underlayment is non-toxic and has a very low R-value so it does not block the heat coming through. See mistake #7 for more info. Do you have kids and/or pets? Kitchens, bathrooms, bedrooms and rec rooms may require different types of flooring, especially if you have young children or large dogs. Harder floors generally last longer. TIP: If your pet has problems controlling urine, consider a ceramic tile floor or linoleum sheet product. Most wood, bamboo, cork or carpet do not do well when exposed to acidic pet urine. What’s your deadline for installation? Make sure you allow time for transportation of goods, acclimation (none to 2 weeks, depending upon the product), subfloor preparation time, clean up and contractor schedules; then add 25% to the total. Like all other projects it usually takes longer than you anticipate. If you order the wrong product or quantity, this could also add another week to your job. TIP: If there’s a shipping or warehouse mess up, the retailer won’t pay for your contractor’s time. Therefore, always plan WAY in advance and never schedule a contractor until you have a firm date of delivery and a tracking number. Does anyone have chemical sensitivities or allergies? If so, be sure the products are urea formaldehyde free (or as close as possible) AND the person using the room has tested a sample beforehand. TIP: Many of our customers test products by putting them into a hot car and waiting outside a few hours. When they go back inside the car, the heat has usually caused some off-gassing to occur and any toxic ingredients are more readily detectable in a small space. MSDS: Reading the Material Safety Data Sheet (MSDS) is not enough because manufacturers don’t always divulge proprietary ingredients or toxic chemicals that amount to less than 1% of the total volume. Manufacturers are only required to disclose “known” hazards of which only 20% have ever been tested for human health. This means 80% of all chemicals are “unknown” as far as their affects on humans are concerned, and the government has a “don’t ask, don’t tell” approach to these chemicals.